[If you are going to be in Walt Disney World Area around February, you won't want to miss the next World Chapter's Meeting. It will be a night to remember with our special speaker and guests. The next World Chapter meeting for Disney EnthusiastsIS Saturday, February 21, 2009! 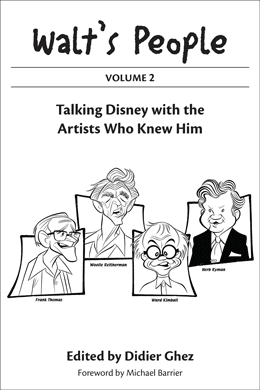 Internationally recognized Disney Historian Jim Korkis is a published author with several books and hundreds of articles on Disney history to his credit, a former Disney Institute animation instructor, and a contributor to the popular “Walt’s People” book series. RETURN TO MARCELINE. Disney Historian Jim Korkis talks about Walt Disney's love of Marceline, Missouri and its impact on Disney films and parks. Then he will share very rare home movies of Walt and Roy returning to Marceline in 1956 to dedicate the Walt Disney Park in that city. Another once-in-a-lifetime experience for NFFC members as Jim talks about this sometimes forgotten moment in Disney history. This promises to a very special night as we always have a few surprises planned as well! DIRECTIONS: Florida Turnpike Exit 254, N on Hwy. 17/92/441 (Orange Blossom Trail), 1/3 mile on left; or I-4 E Exit 72 (Beachline Exp./528 E). Take Exit 4, make right on ramp, then left onto Orange Blossom Trail (Hwy. 17/92/441), 1/2 mile on left. Admission: $1.00 for current NFFC Members, $5 Prospective Members. 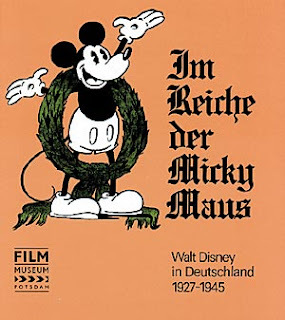 A very good friend is doing some research for a book about Disney and WWII. He does not speak German (neither do I) and needs help with the book pictured above (which he owns) to find out if any sections in it are worth reading for his research. Is there a German speaking reader of this blog who could help us? [This was something that Bruce Gordon championed and had all ready to go upon his untimely death. It had been in the works for years, even before the death of David Mumford in 2003. 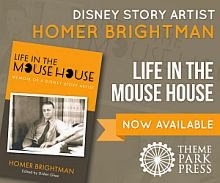 Randy Thornton at Walt Disney Records picked up the baton after Bruce's passing, and this is the result. Thanks to Tony Baxter for starting this whole CD thing, Dave Smith and Robert Tieman of the Walt Disney Archives for your continued support, Marty Sklar, Jan O’Connor and all the Imagineers over the past half-century whose work we are celebrating. The content did change a bit and you will find what Randy Thornton had so say about it at this link and at this other link. [Enclosed you’ll find another early drawing of Walt. It’s from an article in Los Angeles Times, Nov. 30th 1930. It has probably not seen the light of day for almost 80 years. I wouldn’t call it a caricature, even if his eyebrows seem a little exaggerated. I have also enclosed the whole article - it was so long that I had to cut it in two to be able to scan it. Do any one of you have any details about this product, who is behind it, what it contains,...? [Enclosed: Two more caricatures of Walt. One of them is very well known and probably one of the best (above). Anyone who could make a guess at the artist that drew it ? 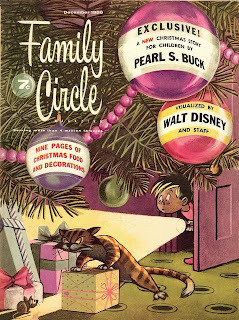 The other one (below) - recently sold on ebay - is described as drawn by Kopietz (drawn sitting on Walts shoulder), but I would think that Carl Barks was the man behind this drawing. Finally here is a photo of Walt and Kimball with two caricatures of Walt on the wall. Kimball was appearantly not afraid of showing them to Walt. 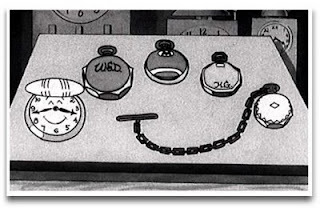 I would really have liked to view a better version of the drawing of Kimball and Walt in WD's office. Great caricature of Bill Tytla by Disney story artist Aurie Battablia being sold by Howard Lowery at the moment on ebay. Very busy days today and tomorrow. I will post more on Monday. Have you all wondered what Don Hahn has been doing during his leave of absence from the Studio? You will find the answer below and I think you will love it. 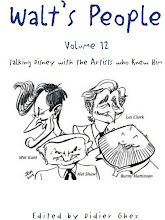 Didier Ghez: In April 2009 Focal Press will release 2 volumes titled Drawn to Life: 20 Golden Years of Disney Master Classes: The Walt Stanchfield Lectures that you edited. Most of us are familiar with the Stanchfield classes that were partially released online a while back. Could you tell us how you became involved in this project and how you tackled it? 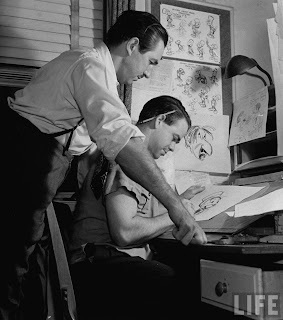 Don Hahn: Walt was one of the first people at Disney who took the time to mentor me about drawing. 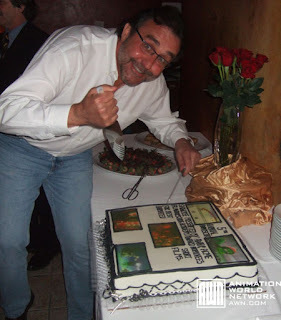 What I soon realized is that he was mentoring everyone and had a real gift and passion for teaching. In the late 1970s and early ‘80s we started a program at the studio called THE DISNEY SCHOOL OF ANIMATION with Walt and Eric Larson as the teachers. They both wrote lessons for the animators, a group that included Glen Keane, Tim Burton, John Lasseter, Mark Henn, John Musker, Brad Bird, Ron Clements and more. 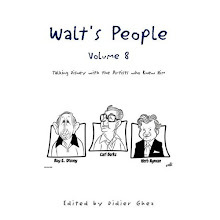 Those lessons kept coming and twenty years later, Walt had written close to 900 pages about the art and craft of animation. 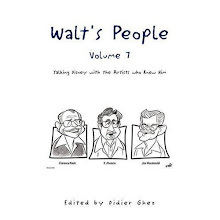 When Walt passed away in 2000, I immediately was looking for some way to pay tribute to him and it didn’t take long before it dawned on me that I should try to publish his work. At first I couldn’t find a publisher so I considered self publishing the book, but at 900 pages it was too much for anyone to take on. Hans Bacher had just had his book published by Focal Press and suggested I call Georgia Kennedy at Focal. In the summer of 2007 I went to see Georgia at her office in Oxford England. She was familiar with some of the pages, since many had found their way to the internet and had been passed around informally in the animation industry for years. Then I showed Georgia all the bits that hadn’t been published. Hundreds of pages about drawing, life and art. She was hooked. Then came the insane task of getting approvals from all the artists to use their work in the book. Walt would famously grab drawings off of people’s drawing boards and Xerox them for his lectures. After 140 letters went out to all the people whose work was included in the book we had 100% response and 100% “yes” to use the work. From then on it has taken two years and a team of six people who work with me in LA and another 6 who work for Focal Press in Massachusetts to bring the book to life. Eight years later we are moments away from publishing and it is beyond my wildest dreams. I must say that none of this would be possible if Dee Stanchfield, Walt’s wife, hadn’t been completely supportive. All the author’s proceeds from the book will go to Dee. DG: The books' main target audience is clearly animators. 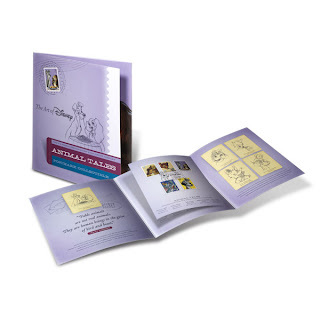 Is there anything in them for Disney historians or Disney History enthusiasts? 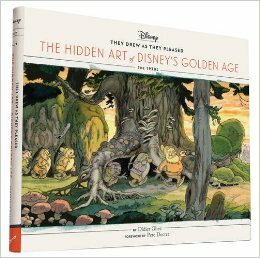 DH: I think what’s interesting about the book is that it was written during a second golden age of animation. The first lessons are about ‘how to draw Taran’ from The Black Cauldron. 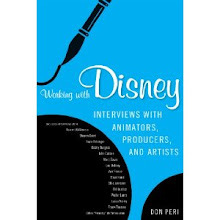 Through the pages of the book you can see work by Andreas, Glen, Mark Henn, and so many others as well as countless references to Little Mermaid, Lion King, Aladdin, and more. 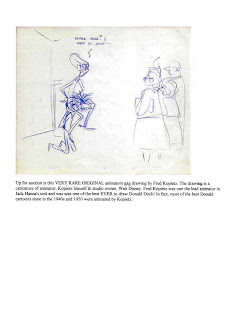 Add to that all the examples of work from Frank Thomas, Milt Kahl, Fred Moore, Bill Tytla, Ollie, Eric, and then add to that Hirschfeld, Joe Grant and so many other artists. 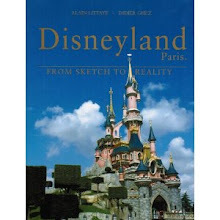 It’s a living art history book by one of the eye witnesses of the art of Disney Animation, Walt Stanchfield. DG: Did you know Walt Stanchfield personally and could you tell us a few words about him (as an artist and as a human being)? 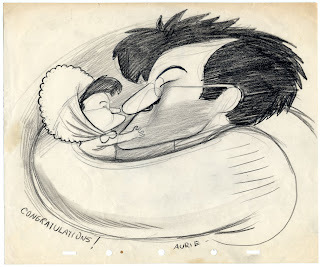 DH: Walt attended Chouinard Art Institue as did so many of Disney’s artists of his era. After a brief stay in the navy, he went to work at Harman-Ising studio and then Disney. He worked on every Disney feature from Mr. Toad thru Lion King and taught at the Studio deep into the 1990s when his health (cancer I think) caught up with him. He was a very free spirit. Walt lived in Buellton, CA about three hours north of the Studio. He would drive down on Monday and sleep in his van in the parking lot, really a 20 year old spirit trapped in a 70 year old body. He ate very healthy food and felt that exercise and diet was as much a part of nurturing the creative spirit as was drawing and study. He played tennis every day. 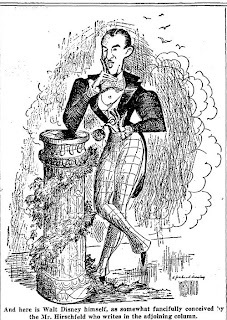 His wife Dee would accompany him on sketching trips. Dee would often drive while Walt did water colors and sketches while looking out the window. Walt was active in the local art scene in central California where he showed his personal work regularly at galleries. His legacy at the Studio was as much about living as it was about art. He was the example of how to live to the fullest as an artist — always curious about the world, always sketching, studying, playing music, reading, and sketching some more. 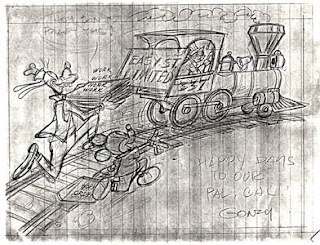 DG: Quite a few other great Disney artists, from Bill Tytla to Eric Larson gave classes on animation. Would you consider editing additional volumes that would collect those (some of the conferences from CalArts for example or some of the action analysis lectures that were given during Don Graham's classes, like the one that Michael Sporn recently posted on his blog at this link)? DH: I would love to publish as much of the writings of the masters of animation as possible. It’s a time in my career where I have benefited so much from the artists that I have worked with that I feel it’s time to share their work and writings with the next generation of animators coming up. And as you have pointed out, these works are more than just animation text books, they are the “dead sea scrolls” of animation, once lost to the world of animation history, but now slowly making their way into the hands of the audience. I’ll do anything I can to keep that going. Kudos to Michael for sharing the work too. DG: I believe you are also working on a documentary about Joe Grant. How advanced is the project and when can we expect its release? DH: It is still in the research phase. I have had several conversations with Joe’s family and coworkers over the past few years and have found the most amazing film clips and interviews (both on film and audio) of Joe. The film is probably still a year away at this point, but it has been a treat to research and tell the story about this amazing guy. 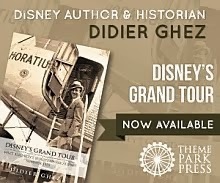 DG: What are some of the surprises for Disney historians that the documentary will include? 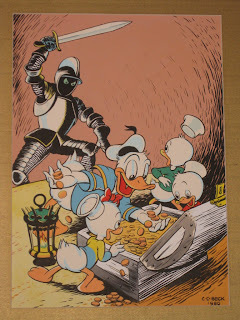 DH: Joe’s pre-Disney work is wonderful to see. The best is a little clip from a Gary Cooper movie where Cooper plays an artist. His portfolio is all Joe’s drawings. Fantastic. Also Joe’s work in the Model Department is stunning as are his ceramics and greeting cards. Then there are the clips of Joe as a child actor in William Fox movies! There is so much to this man over an above the work he did for Disney, and that’s what makes the story so incredible. DG: What are the most surprising things you discovered about Joe while working on this documentary? 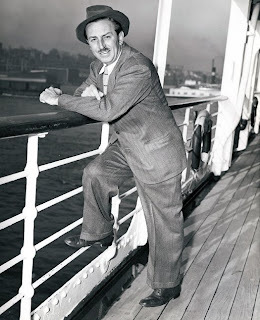 DH: How young he was when he came to Disney and how long he had already been involved in Hollywood as a child actor and caricaturist for the studios before Walt spotted him. He took 40 years off before he came back to work with me on Beauty and the Beast. 40 years...we should all be so lucky to have a career that measures that long and for Joe, it was just a break in the action. DG: Are you tackling other Disney-history related projects at the moment or are you thinking about tackling any other ones? DH: I am almost finished with a documentary film called Waking Sleeping Beauty about the history of Disney animation in the 1970s, ‘80s, and ‘90s. It’s an incredible almost Shakespearian story of an era that started with CalArts in the 1970s and ended with Lion King, the biggest box office success in history to that time. The talent of today’s industry: Lasseter, Musker, Bird, Clements, Keane, Selick, Burton, Rees, Kroyer, Bluth, all of them came from that era. I’ll be done with the film later this year when it will make its debut at film festivals everywhere (if I can finish it on time). 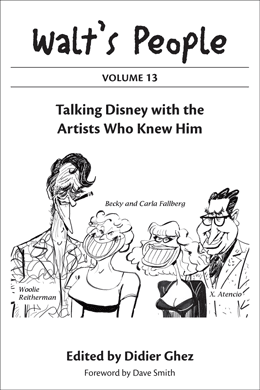 Don't miss the blog tomorrow as I will be publising a fascinating interview with Don Hahn in which he discusses his current Disney-history related projects. 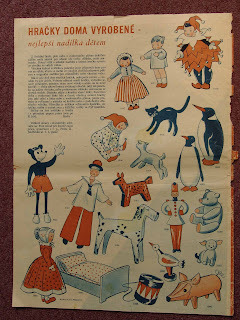 [Enclosed you'll find 3 early caricatures of Walt Disney. 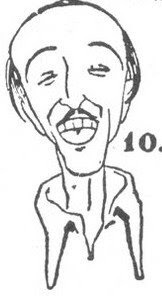 The caricature from 1929 (above) was drawn by Jack King (together with caricatures of all the artists of the studio at that time). 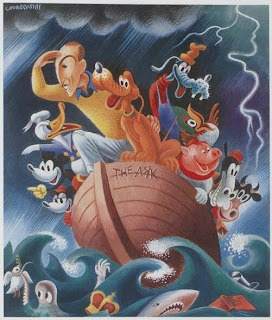 The painting of Walt and his crew: Walt Disney by Miguel Covarrubias, 1937; Gouache. Information about Miguel Covarrubias is found here. 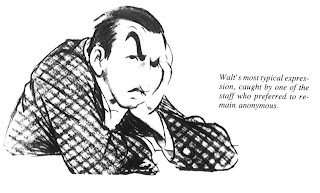 "Walt Disney has made a brilliant acting unit out of about as irresponsible, undependable, unstable a crew as ever trod the boards," claimed the text accompanying this Vogue caricature, June 15, 1937. I have received recently a long interview with Imagineer Eddie Sotto in mp3 format based on questions that I sent him a few months ago. 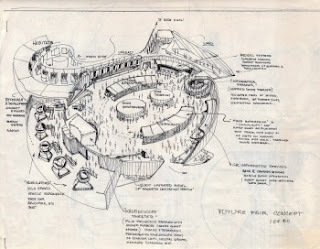 Eddie discusses his work with the "old timers" of WDI as well as the abandoned attractions he designed for Disneyland Paris. Would one of you be willing to volunteer to transcribe this fascinating interview? 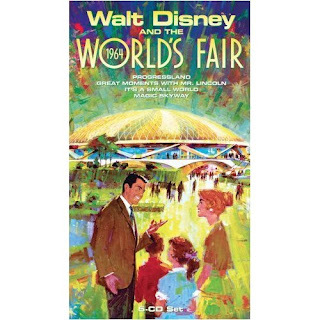 [Little Known Facts About Well Known Places: Disneyland is a nice little book but for Disney book completists only. This approximately 5x7 hardcover runs 200 two color pages (black and orange) with usually one fact (actually only one sentence in very large type) on each page. 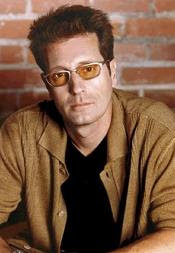 Author David Hoffman is supposedly a television writer who also works as an on-camera corespondent and author of a dozen books on pop culture. 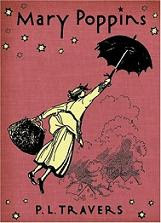 Apparently there are four other books in the series: Paris, Italy, New York, Ireland. 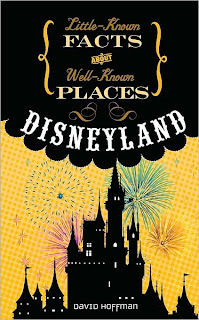 Jim Korkis just spotted this new book about Disneyland yesterday, called Disneyland : Little-Known Facts about Well-Known Places by David Hoffman. I have not yet seen a copy. Did anyone of you read it? What is it worth? On February 16th, 2007, you had a posting where you - and Are Myklebust - asked if anyone knew of a photo of Hazel George. 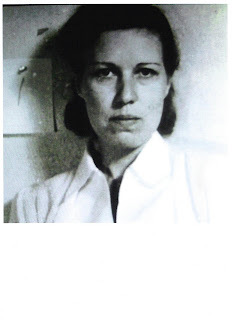 As we all know, she was the studio nurse and Walt's confidant, besides being a song lyricist for the Disney Studio. Recently I found a portrait of her, see enclosure. The quality isn't very good, I'm afraid, as it is a frame grab from a documentary film. Hans Perk posted another photo of her on his blog some time ago - and it was confirmed in a comment by Floyd Norman that it was of her. See: http://afilmla.blogspot.com/search?q=hazel+george A little strange that there are so few photos of such an important person in Walt Disney's professional and private life. I will be in London on Monday and Tuesday next week. The blog will be updated again on Wednesday. 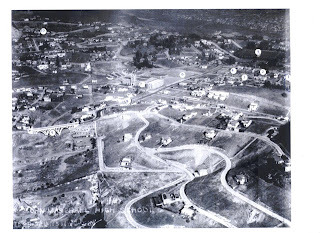 [Enclosed you'll find an aerial photo of the Franklin Hills - Los Feliz area in LA from 1932. 7. John Marshall High School, built in 1931. 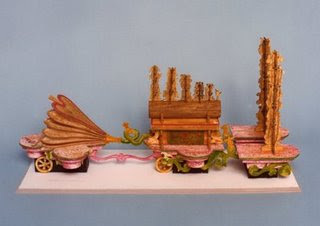 Can be seen in the background of several studio photos. It has been used in a lot of movies and TV-series. 10. 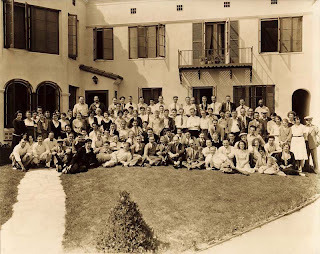 Walt's house in 4053 Woking Way - built in spring/summer of 1932. I'm not sure of the exact place of this - or if it was built when this photo was taken. There are still a large number of lots that have no buildings. Here is some info about an upcoming animation art auction that will happen on May 30, for our French readers. I will post the catalog when it will become available. 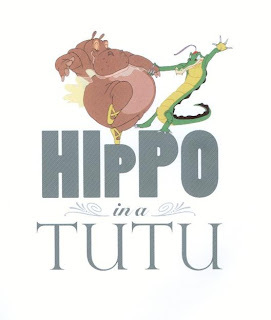 I mentioned a while back how excited I was by the upcoming book by dance critic Mindy Aloff, Hippo in a Tutu. I was glad to receive a review copy a few weeks ago and devoured it over the Christmas season. The Bottom Line: I loved 75% of it and was unconvinced by the remainder. In other words: I would definitely recommend buying it but with a few warnings. The illustrations have been selected with great care and show a large number of never-seen-before documents. I particularly loved the elements coming from the Cowan collection, as well as the photographs of live-action references and the sources of inspiration for the Disney movies and shorts. The shots of Isadora Duncan that could have inspired The Goddess of Spring, of Virginia Davis dancing with Garland Ladd as reference for Mr. 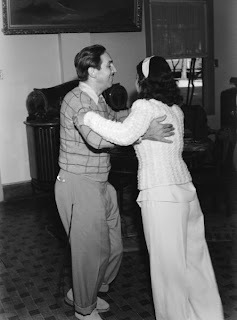 Duck Steps Out and of Marjorie Belcher dancing with composer Oliver Wallace for Snow White are priceless. Speaking of which, the other undeniable highlight of the book is the detailed interview with Marjorie Belcher by Mindy Aloff. Mindy asks all the right questions (including some about Marjorie's short-lived marriage with Art Babbitt) and that interview itself, from my point of view, would justify buying the book. Now come some of my reservations: I honnestly found the first two chapters of the book (A Short, Highly Subjective Tour of Dancing in Historic Disney Animation and Choreography: Dancing and Drawing) hard to focus on. I believe the main reason for this is that while I learned quite a bit in those chapters about the history of dance and choreography and how it applied to Disney animation, I also never knew where Mindy wanted to lead us with her text. I felt lost and had the impression of jumping from subject to subject without getting the point of the whole thing. My guess is that I like structure and focus too much to have been in synch with those two chapters. Things get a lot better in chapter 3 (Animation, Dancing, and Music, or are the Silly Symphonies Really Silly) which focuses on some specific shorts and reveal quite a few stories about their sources of creation and their making, and in chapter 4 (Live-Action Reference: The Illusion of Life and Life Itself) which is from my point of view the true highlight of the book (thankfully it is also by far the longest of all the chapters). 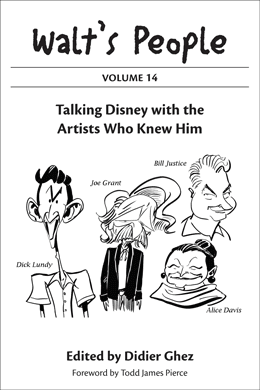 That chapter is both focused and full of interesting new stories about the actors and actresses that served as live models for Snow White, Fantasia, and quite a few other Disney movies. 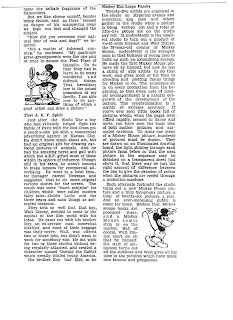 The information it gives us about the Jackson brothers (live references for the crows in Dumbo) and Hattie Noel (one of the live references for Hyacinth Hippo in Fantasia) are, once again, priceless. Overall I would say that dance enthusiasts will probably enjoy thoroughly the whole book. 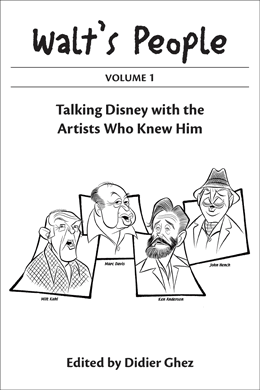 As for Disney historians: the illustrations, Chapter 4, and the interview of Marjorie Belcher are a strong enough reason to buy the book, which I did find satisfying if not perfect. One last thing: I was impressed all along by the quality of Mindy's research. 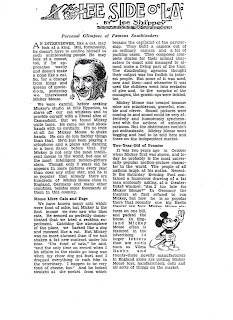 As far as I could tell the text did not include any factual mistake (save for one obvious typo on a date) and showed a level of Disney-history erudition which is hard to find outside of books written by Disney specialists. Tomorrow is a holiday in Spain. The blog will be updated again on Wednesday.